Hello all and Happy Halloween Eve! I’m sure all of you have been up to your elbows (literally) in pumpkins these past few days! I haven’t carved any pumpkins myself this year, although I did puree some pumpkin last week! Now, apart from the three recipes I’ve made containing pumpkin, I also scraped out that pumpkin’s seeds to toast in the oven. 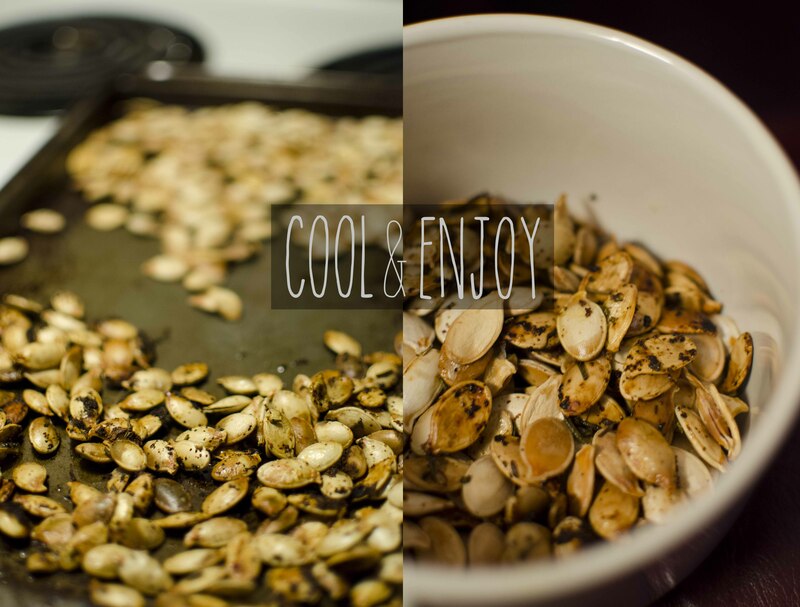 I know baking pumpkin seeds isn’t a new concept to the majority of you, but I thought to myself, how could I NOT show you guys some cool twists on the traditional baked pumpkin seeds?! Especially since it’s October 30th, and I just KNOW people have been baking sheets and sheets of those yummy pumpkin seeds. 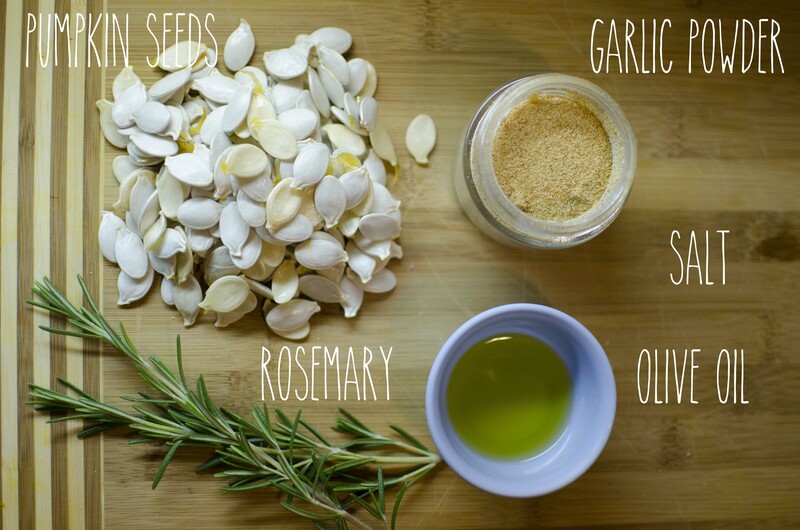 I thought I’d try the Rosemary & Garlic ones, along with a few salted ones. To get the recipes for any of the others mentioned above, go here! First, you need to extract the seeds from the stringy pulp (easily everyone’s least favourite part!). Once you’ve done that, rinse the seeds and pat them dry (optional). Combine all the ingredients in a bowl and stir until well coated. 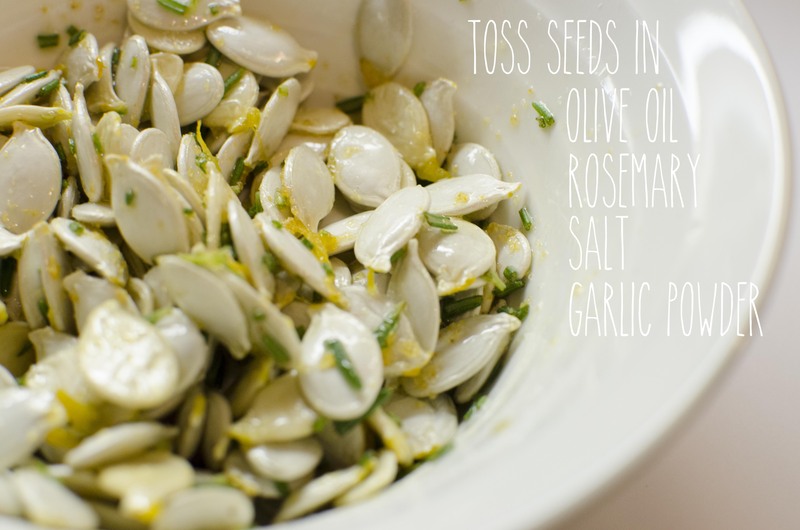 Salted Seeds: Usually, I just toss the seeds in olive oil and salt then throw them in the oven, but this year I’ve decided to brine the seeds. 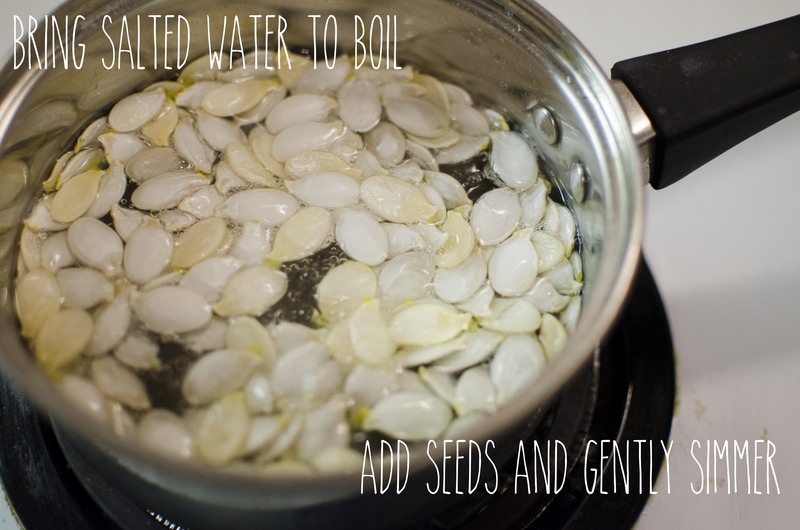 To do that, add your seeds to a small saucepan along with some water and salt (use the ratio 2 cups of water to 1 tablespoon of salt). Bring the water to a boil, then gently simmer for 10 minutes. Remove from heat and drain. 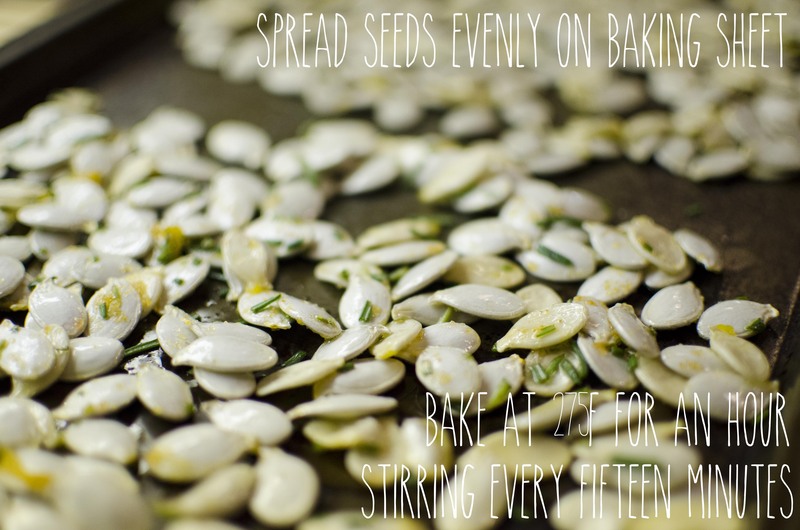 For both methods, once your seeds are flavored, spread them along a roasting pan and bake in the oven, preheated at 275F, for an hour, stirring every 15 minutes. Once they’re done, let cool slightly, then dig in! 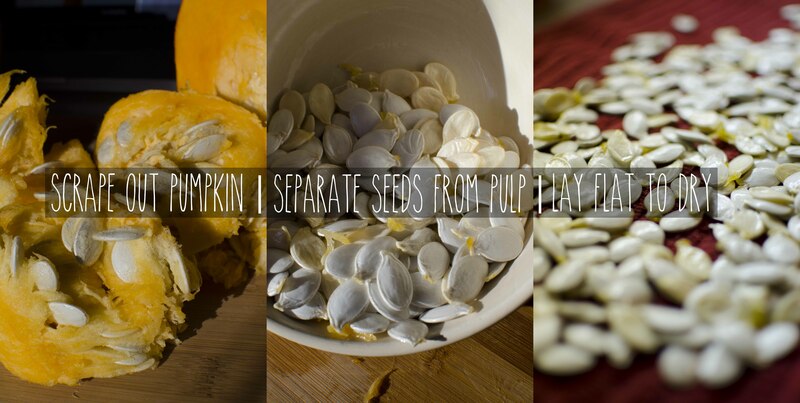 What is your favourite seasoning on roasted pumpkin seeds?! Let me know in the comments below!